Creation: Created March 1942 (CTB) as an upgrade to SR 636 running the way it does now. This is the only VA 352. Posted: Fully posted at US 421. When I field visited in summer 2010 there were no 352 postings anywhere else that I saw. 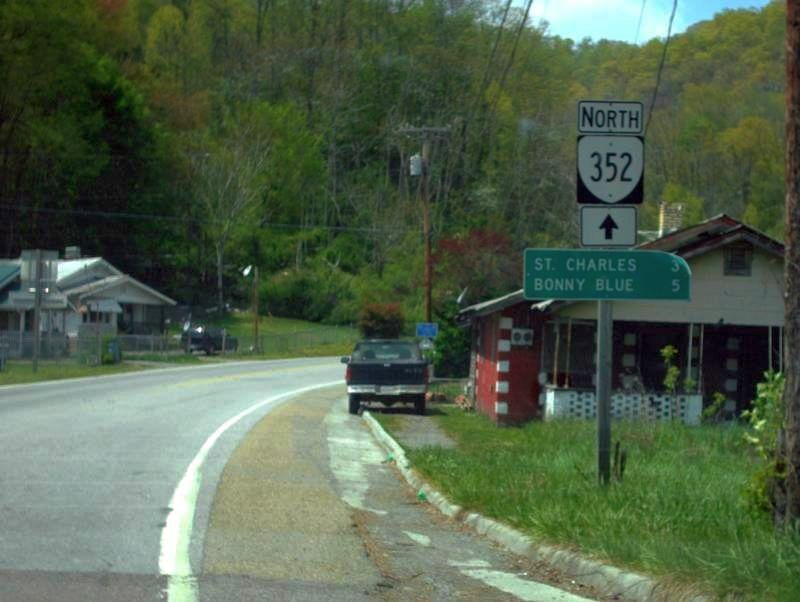 Around 2000 there used to be a US 352 shield at the north end. Comment: Not much to VA 352...just a short route connecting US 421 to St. Charles.